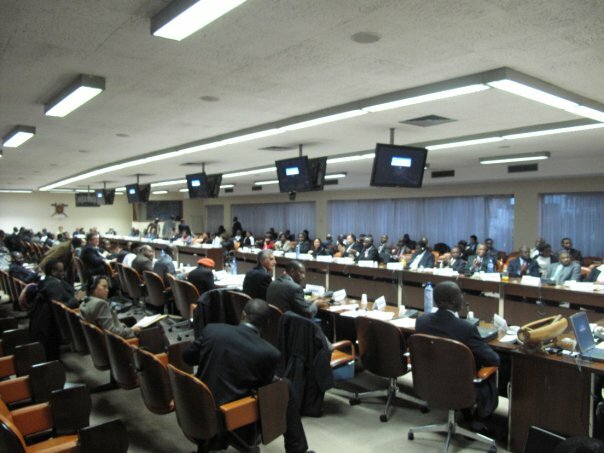 The ACP Ministers of Trade met on 12-13 November 2009 to take common positions at the forthcoming 7th WTO Ministerial Conference to be held in Geneva , Switzerland from 29 November to 2 december 2009. The Minsters agreed to participate actively in the Conference under the theme: “the WTO, the Multilateral Trading System and the Current Global Economic Environment”. They also agreed to use the outcome of the meeting to enrich the discussions under the two sub-themes adopted by the General Council for the ministerial deliberation. The meeting produced a number of important documents that Ministers will use as references during the Conference. These documents can be downloaded below.